Last year’s 1/48 Il-2m3 Shturmovik from Tamiya is about as good as an injection-moulded kit can get: accurate, well detailed and superbly engineered. Having received Eduard’s suite of Brassin upgrades for the kit to review, I was interested to see whether they could offer any improvement to this already excellent package, or would just be gilding the lily. I haven’t got the Tamiya Shturmovik – with three Accurate Miniatures/Italeri Il-2s in my stash, I had to draw the line somewhere. However I do have a copy of Brett Green’s build article from the July 2012 edition of Military Illustrated Modeller magazine, which has plenty of good photos of the kit on the sprues and during assembly, so comparing Eduard’s resin with Tamiya’s plastic was reasonably straightforward. 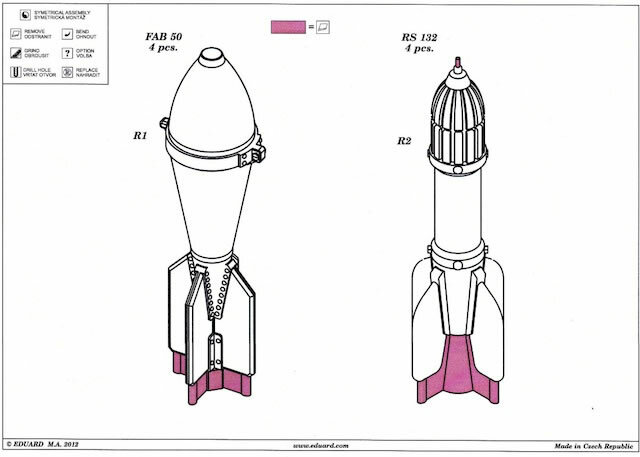 I’ll also compare the Brassin items with their Accurate Miniatures counterparts, because most if not all of them should be applicable to the older kit. 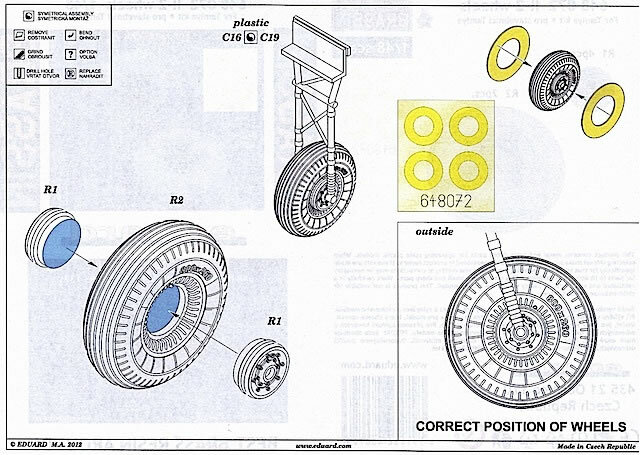 The Il-2 wheels set is a drop-fit replacement, but includes main wheels only. These are perfectly cast, with excellent tread and rim detail; the tyres are not weighted. The separate hubs are also very good, and with a careful detail wash will really come to life. A set of paint masks is included. 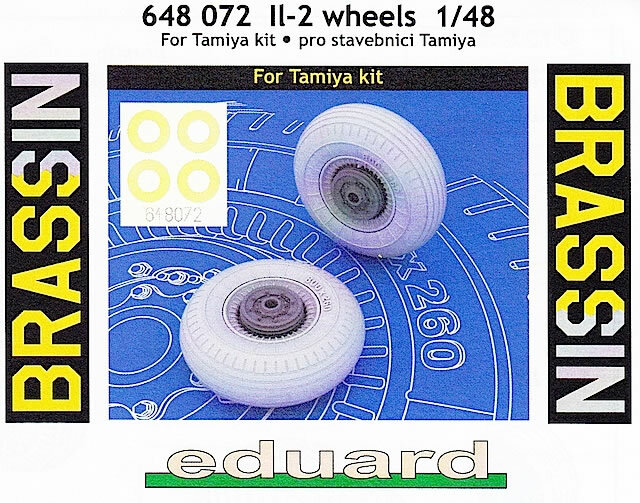 Eduard’s tyres are clearly superior to their Tamiya and Accurate Miniatures’ equivalents. The additional detail on the resin parts is very obvious. The Brassin tyres also compare favourably with photos of the real thing – although with over 36,000 Shturmoviks produced, I would be surprised if every example was fitted with identical tyres, so check your references. 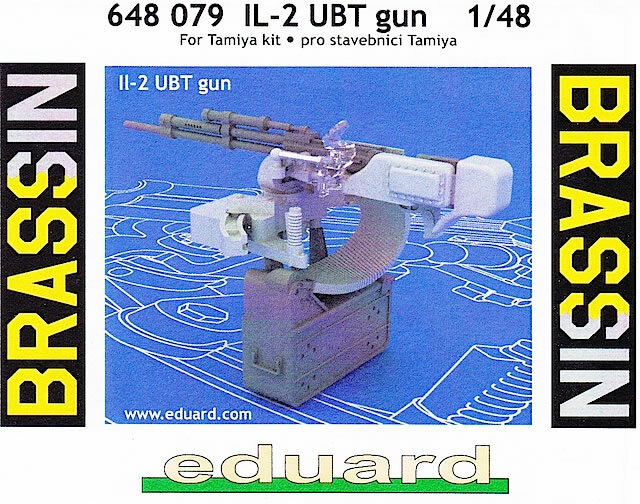 The UBT gun is a more complex set than the wheels, but should still be close to a drop-fit for the Tamiya kit. I’m less certain about its compatibility with the Accurate Miniatures Il-2m3 kit – I’m sure it can be made to fit, but there may be some fettling involved. 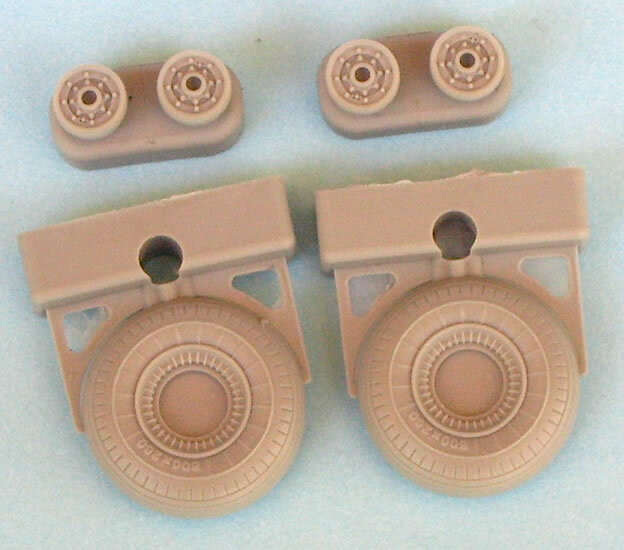 As with the wheels, the Brassin UBT parts are more detailed than the plastic components in either kit. 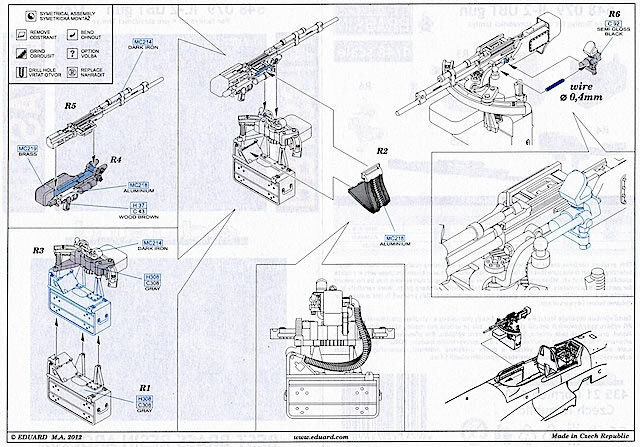 Accurate Miniatures’ gun assembly is respectable, and Tamiya’s is excellent, but the six parts in the Brassin set are very finely cast; the ammunition feed and gun mount are particular highlights. 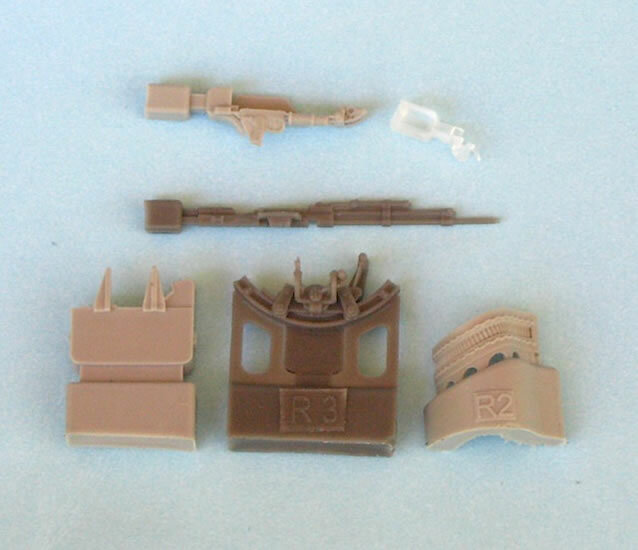 The gunsight is provided in clear resin, which will make painting of this delicate part much easier. 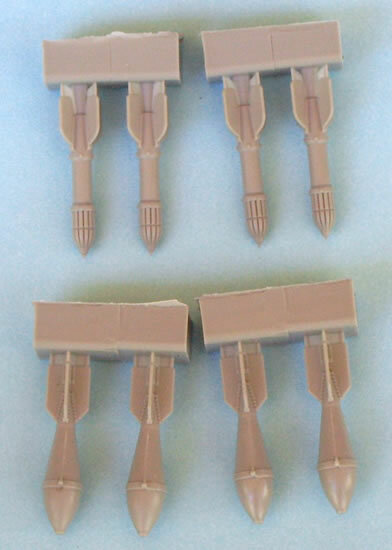 Last up is the weapons set, which contains four FAB 50SV bombs and four RS 132 rockets. FAB 50s are not included in the Tamiya or Accurate Miniatures kits, and Tamiya’s RS 132s appear to be of a later variant, so it is good to have the Brassin weapons available as alternatives. Again, casting quality is very good. 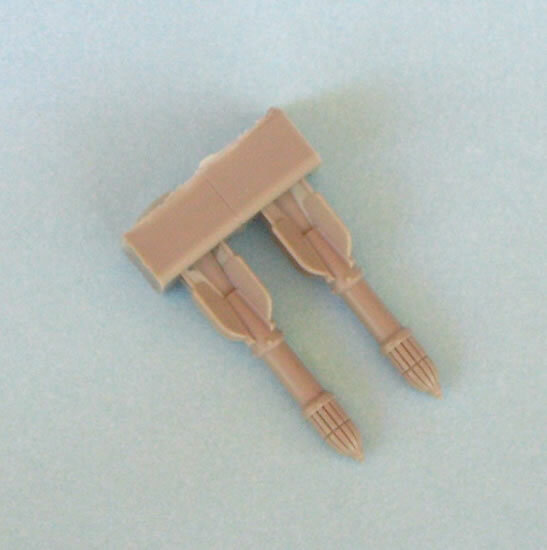 Despite my initial doubts, these Brassin sets will definitely enhance your Tamiya Shturmovik. The gun and wheel sets are improvements on what’s in the kit, while the weapons set gives you some different ordnance options. 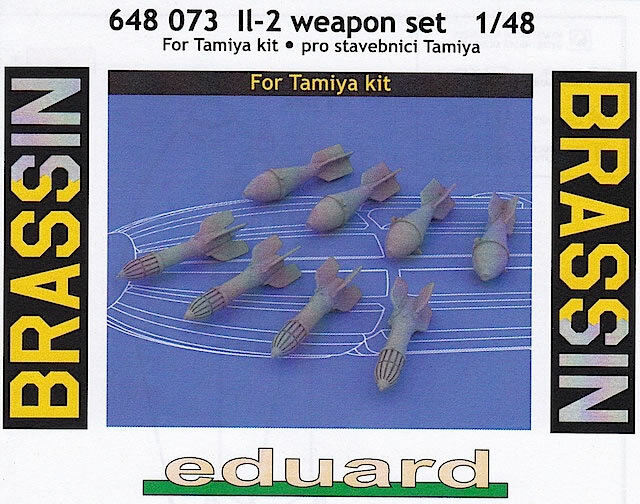 The wheels and weapons will also work on the Accurate Miniatures/Italeri Il-2s, and the UBT gun should as well (although obviously only in twin-seat versions of the kit). All in all, a neat trio of upgrades that can be highly recommended. Hans-Heiri Stapfer, Il-2 Stormovik in action (Squadron/Signal Publications, 1995).